While waiting 15 minutes (!) at the peak of rush-hour for a train one day this week, I had time to capture this view of the sky, including a few of the aircraft in it. London is served by five airports (Heathrow, Gatwick, Luton, Stansted and London City), and during the day at least, the sky is always full of aircraft. By holding my iPhone up to the sky, the Plane Finder AR app shows me each flight’s details in real-time. Incredible. Plane Finder AR screen shot. 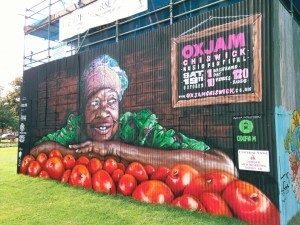 Oxjam Chiswick music festival hoarding. 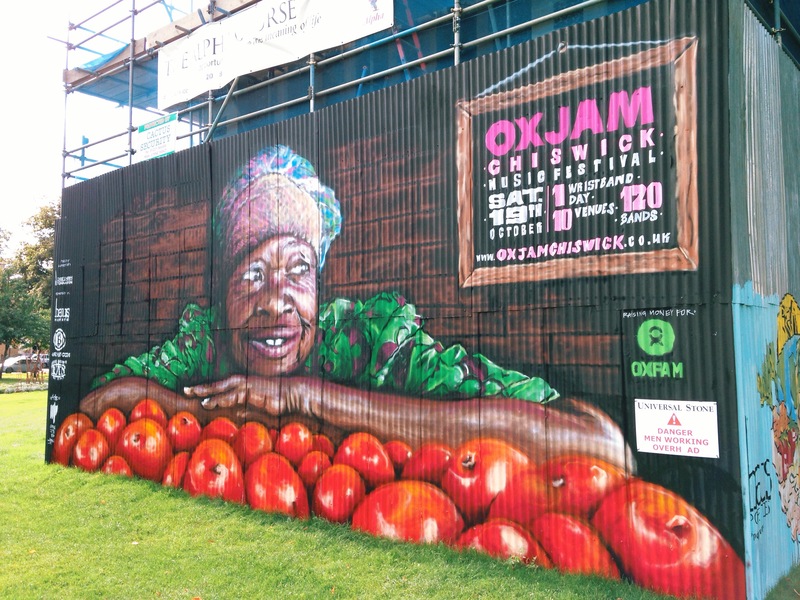 A larger-than-life mural advertising Oxjam Chiswick, a charitable neighbourhood music event.